Readers have until 11:59 pm EST on October 27th to win. 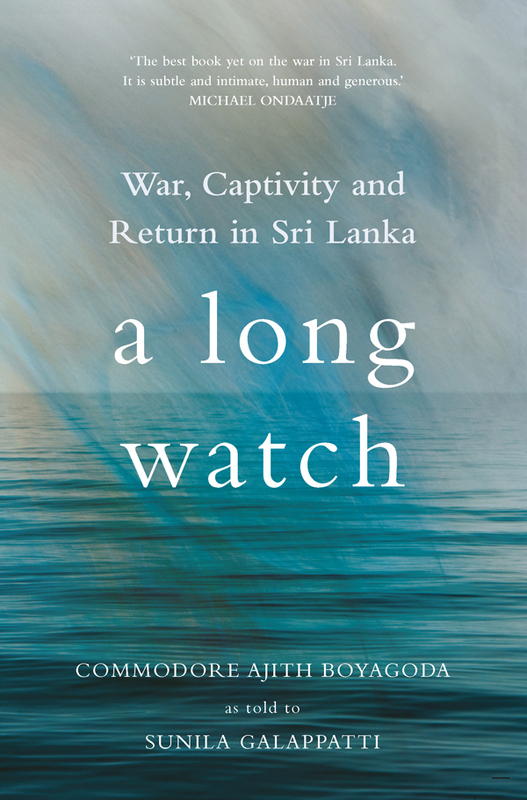 Such is the premise of this week’s book giveaway: A Long Watch: War, Captivity and Return in Sri Lanka by Commodore Ajith Boyagoda, as told to Sunila Galappatti. “When I first came home, it took a month or two before I could even move without awkardness. I had grown used to having a sentry standing by. If I wanted to go to the toilet, back in my own home, I would look for someone whose permission to ask,” Boyagoda tells us in the book. Yet after his release, “I wanted no further part in creating a cause for war,” he says. “So when people asked me how the Tigers had treated me, I always said they treated me well. This was also the truth—my experience only fluctuated according to the goodness of each individual guard,” he says. If you’d like to enter to win a copy of A Long Watch, fill out the form below. Readers have until 11:59 pm EST on October 27th to win.